Team up with Nya, Skylor and Samurai X to break into the Palace of Secrets’ throne room, overpower Harumi and rescue Lloyd. 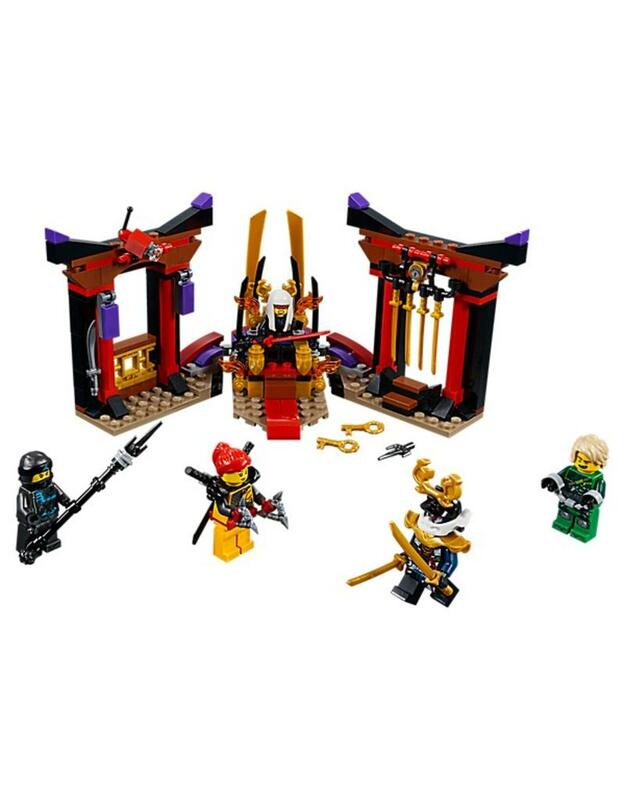 This exciting LEGO® NINJAGO® Throne Room Showdown set features a throne room, throne with 6 detachable weapons and a secret compartment for the jail key, smashing wall function and a jail. This set also includes 5 minifigures with assorted weapons to boost the role-play ninja action.